Batman: The Killing Joke, Deluxe Edition Hardcover Just $10.16 Down From $18! 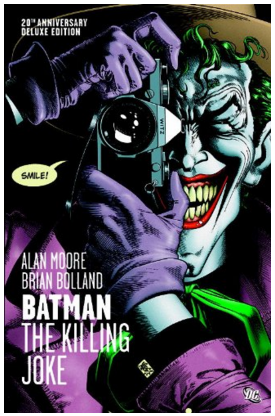 You are here: Home / Great Deals / Amazon Deals / Batman: The Killing Joke, Deluxe Edition Hardcover Just $10.16 Down From $18! Check out this great Amazon deal on Batman: The Killing Joke, Deluxe Edition Hardcover for just $10.16 down from $18! Get yours now while it lasts! Legendary writer Alan Moore redefined the super-hero with WATCHMEN and V FOR VENDETTA. In BATMAN: THE KILLING JOKE, he takes on the origin of comics’ greatest super-villain, The Joker —and changes Batman’s world forever.